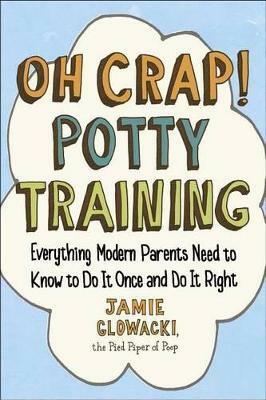 Jamie Glowacki-potty-training expert, Pied Piper of Poop, and author of the popular guide, Oh Crap! Potty Training-shares her proven 6-step plan to help you toilet train your preschooler quickly and successfully. ** How do I know if my kid is ready? ** Why won’t my child poop in the potty? ** How do I avoid «potty power struggles»? ** How can I get their daycare provider on board? ** My kid was doing so well-why is he regressing? ** And what about nighttime?! Oh Crap! Potty Training can solve all of these (and other) common issues. This isn’t theory, you’re not bribing with candy, and there are no gimmicks. This is real-world, from-the-trenches potty training information-all the questions and all the ANSWERS you need to do it once and be done with diapers for good. And check out OhCrapPottyTraining.com for more information-including expert advice, support from parents just like you, and instructions for how to take part in the next Great Potty Challenge!